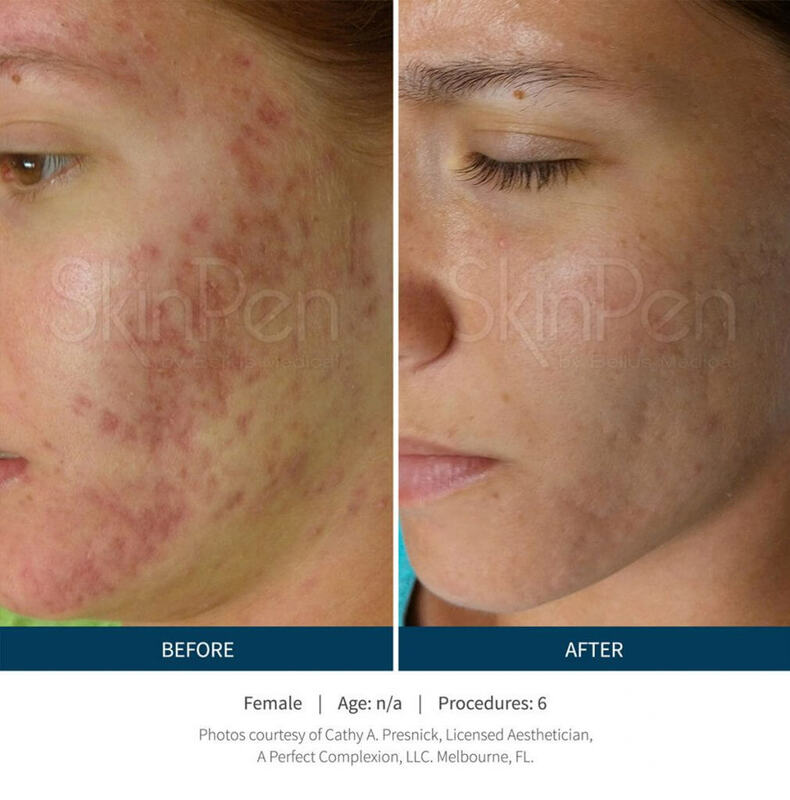 Medical microneedling with SkinPen® does more than rejuvenate. It remodels your skin, addressing a wide variety of issues along the way, including melasma, scarring, wrinkles, pores, and collagen production. There is a solution, and better still, it can take as little as 30 minutes! 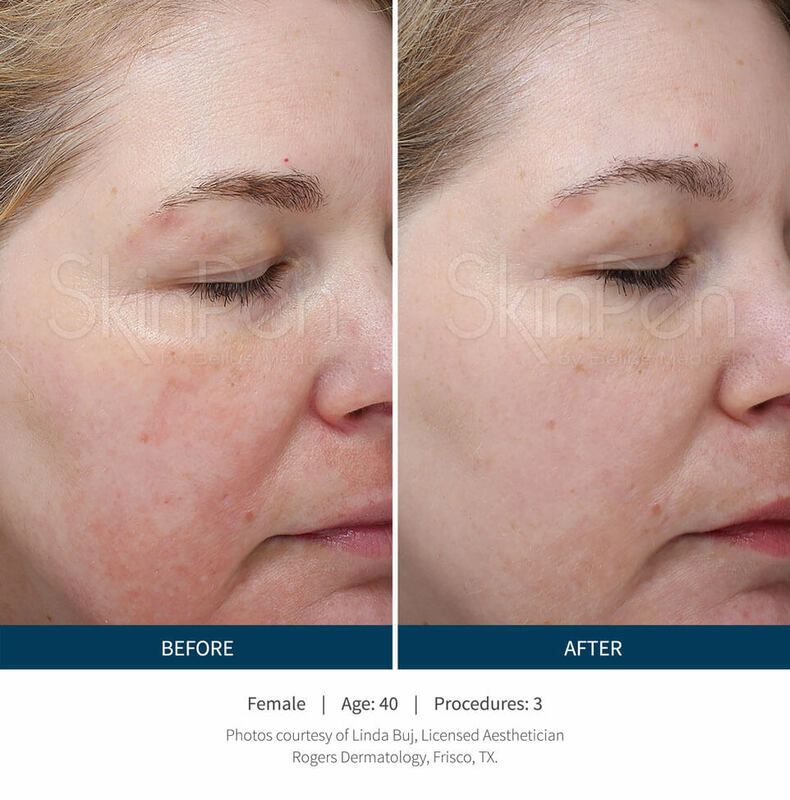 Rejuvenate your skin while reducing the appearance of aging, scarred skin thanks to SkinPen® microneedling. 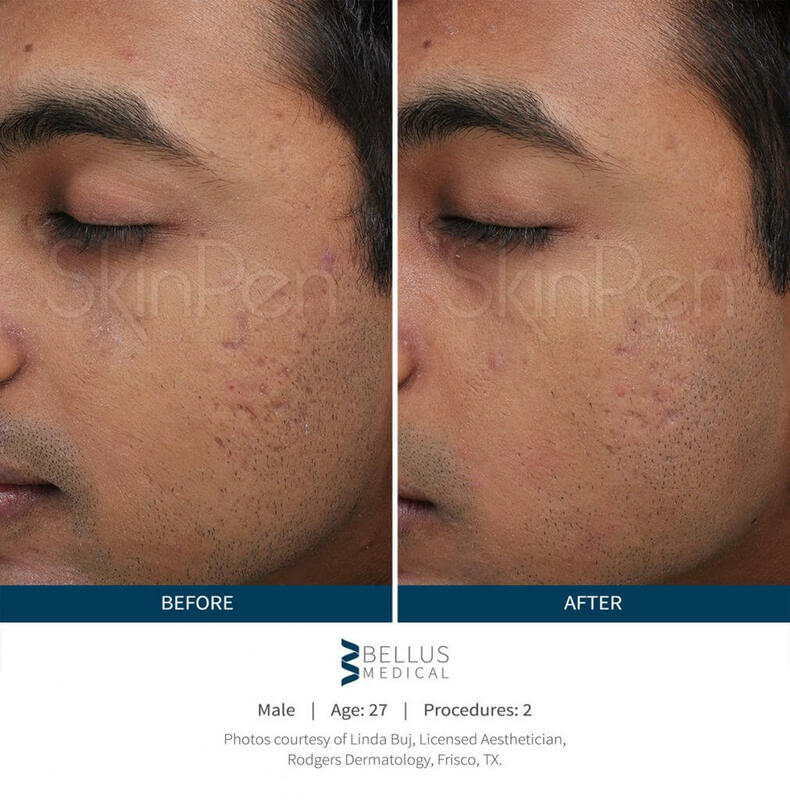 This innovative treatment uses leading technology to provide lasting, noticeable results that are sure to please. Microneedling, sometimes known as collagen induction therapy, operates on a simple principle. By triggering the skin’s self-repair process with repeated micro-injuries to remodel and rejuvenate your skin. 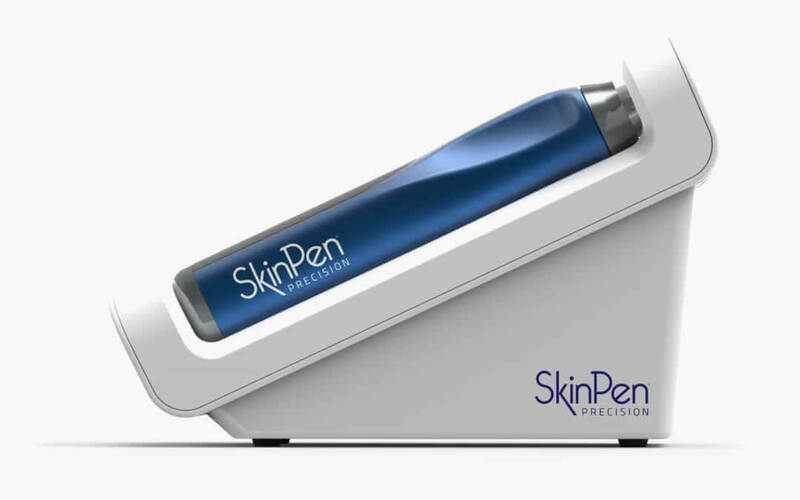 The SkinPen® uses a series of 14 microneedles to start this process, in turn leading to the release of growth factors that help remodel your skin’s natural collagen and elastin content. But what does this mean for your skin? In short, a lot! The SkinPen® uses adjustable length disposable straight needles, allowing for optimal treatment across varying skin thickness and type with unmatched precision. Please contact our clinic today to book a consultation. Is treatment only used on the face? SkinPen® offers unmatched versatility for microneedling treatments, making it a safe and effective treatment option for the face, neck , and décolletage, to name a few. This depends on your individual skin care goals. During your initial consultation, we’ll recommend a course of treatment to help you achieve your goals. Am I a good candidate for SkinPen® treatment? SkinPen® is a fantastic treatment option for all skin types and colours. Chances are you’re already an ideal candidate for treatment. During your consultation, we’ll discuss your needs, goals, and whether SkinPen® microneedling is a good fit for you. 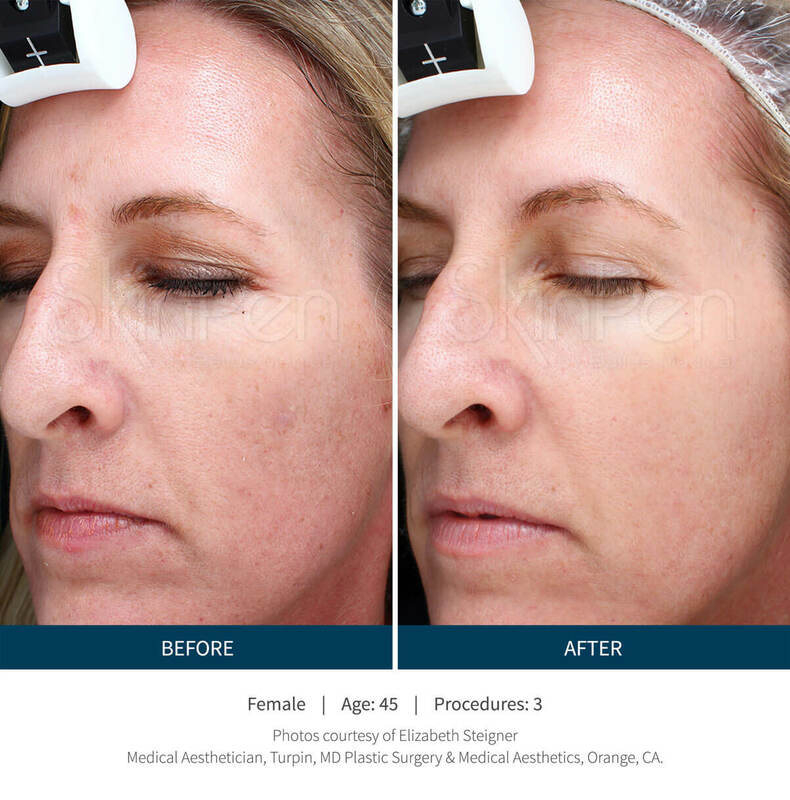 You’ll notice healthier looking skin immediately, but the repair process started by microneedling typically progresses over the course of several weeks. Depending on the level of damage, you might not see final results for up to six months. We start each treatment with the application of a topic anesthetic. This helps reduce any potential discomfort during the treatment. The average SkinPen® session typically lasts 30 minutes, and you can expect some mild redness and swelling for 2 to 4 days after treatment, not unlike a very mild sunburn, though many patients heal completely in as little as 24 hours. Individual results may vary.